Aravind’s background as an Assistant United States Attorney and Computer Hacking and Intellectual Property Section gives him firsthand understanding of federal agencies that allows him to swiftly navigate the system, partner with investigators and find creative solutions for his clients. As a federal cybercrime prosecutor, Aravind investigated and prosecuted a broad array of cybercrime cases, including hacking, phishing, trade secrets theft, click fraud, cyber threats, and identity theft. Aravind also led the cybercrime outreach program, where he worked with members of the Department of Justice, state and federal regulators, law enforcement and other organizations on cybersecurity and related privacy issues. As part of his work to protect communities, he collaborates with pro bono clients like PISCES, an organization which facilitates information sharing between state and local agencies to improve threat intelligence and protect critical government services. During his time as federal prosecutor in the Complex Crimes Unit, he also investigated and prosecuted a wide array of white-collar crimes, including investment schemes, corporate fraud and embezzlement, securities fraud, tax evasion and the nation’s largest bank failure. 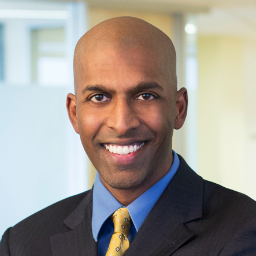 Aravind has represented clients in a broad array of civil litigation as well, including securities and shareholder derivative litigation, consumer class action litigation, trade secret litigation, and other complex commercial litigation in federal and state courts, arbitration and mediation, and in proceedings against the SEC and DOJ.